This is a CLEAN TITLE Pickup, on top of that an optional extended warranty is available. The automatic transmission makes driving easier in stop-and-go traffic and on hilly roads, on top of that enjoy the power and performance of this fun to drive 8 Cylinder engine. Thanks to the rear wheel drive, you can expect better acceleration. The keyless entry enables you to access your vehicle with ease, furthermore the cruise control helps avoid speedy situations by maintaining a constant speed. 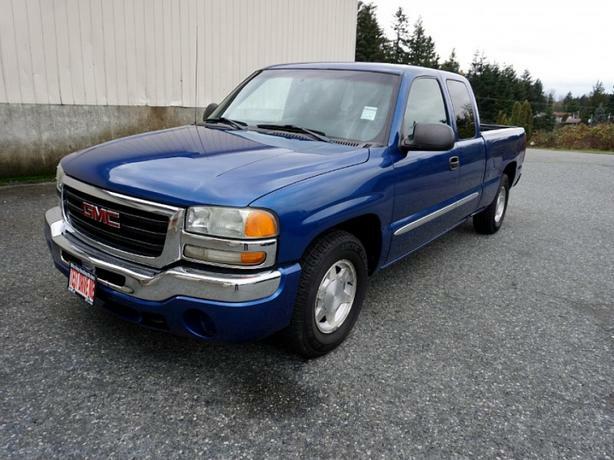 This alarm system trims down your car insurance premium and keeps your belongings safe, additionally the overdrive transmission prolongs the life of this GMC's engine and increases MPG efficiency. You can easily let fresh air in with the push of a button thanks to the power windows while the CD player is a must have for any daily driver. The steering wheel audio controls are a great safety feature which keep your hands and eyes on the road, moreover thanks to the installed power outlet, you can plug in devices when on the move.